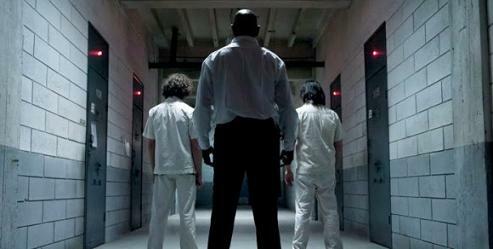 I do love a movie based in a mental asylum, it's the setting for many horror classics and it never gets boring. 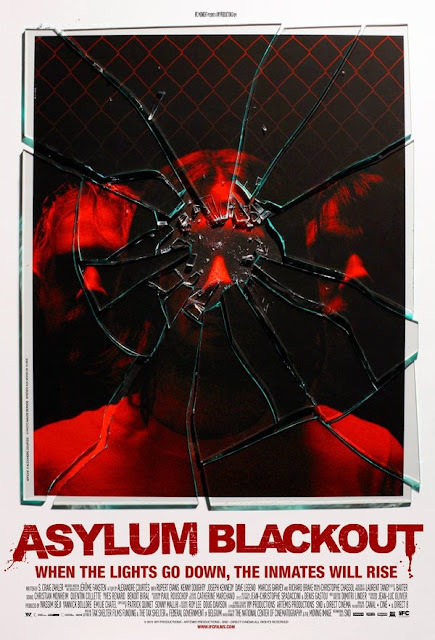 Sure we've had an abundance of found footage/mockumentary films with the same setting in just the last couple of years, But "Asylum Blackout" is not one of those, it's so much better. 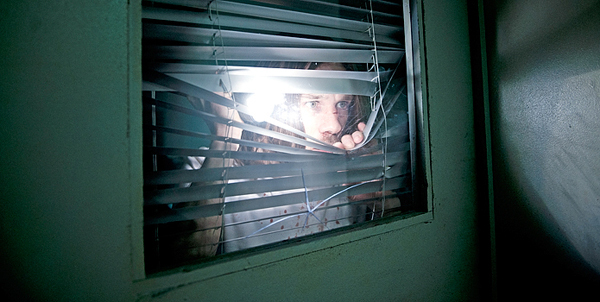 We're introduced to a group of friends who are working dead end jobs whilst trying to get their band on the rise. It's a story we've heard a thousand times but that's very much just an intro to their lives, were shown that they care for each other and have other things going on. It builds great character profiles for the film. With such great character building you wouldn't think this was directors Alexandre Courtès first full length feature, he does a truly amazing job of not only building good characters but of making the story flow so easily. I hope he delves back in-to Horror as he certainly has a talent for it, so far his only other feature after this has been a French comedy. Hopefully this will peak studios interests in him. Now obviously with being set in a mental asylum there's the creepy element but this time around it's not deteriorated and abandoned, this is a fully functional asylum complete with maniacs. Like I said the creep factor is there but it's more about high tension and high suspense and the gore factor is ramped up along with cringe inducing kills. The cast are not entirely un-knowns, you've got Rupert Evans ("Hellboy"), Anna Skellern ("A Night In The Woods", "Siren", "The Descent: Part 2"), Richard Brake ("Detention", "Halloween II", "Outpost", "Hannibal Rising", "Batman Begins") and more. Too be honest I didn't recognise any of them until I researched the film, hopefully in the future they'll get more recognition as they all put in stellar performances. I know this review may seem a bit short on detail but I don't want to give anything away, it's a film that speaks for itself. "Asylum Blackout" is a film I'd very highly recommend to any Horror fan, it deserves so much more recognition. Trust me you don't want to let this film pass you by! Just in-case you cant find it the film also goes by the name of "The Incident", it all depends on where you live.